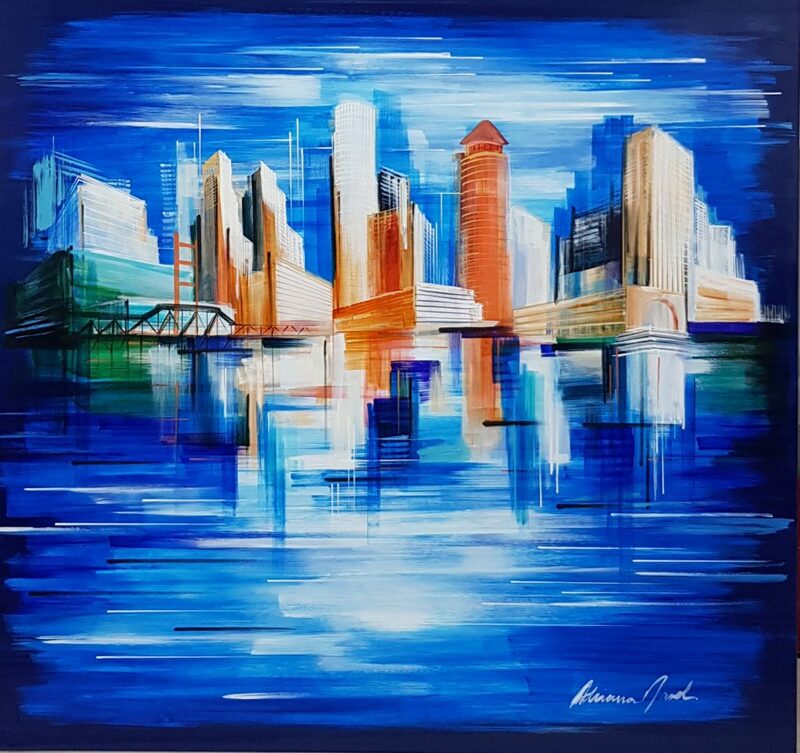 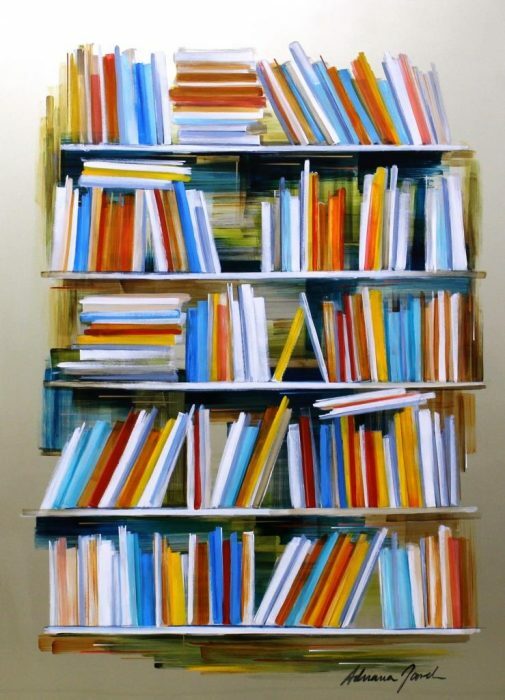 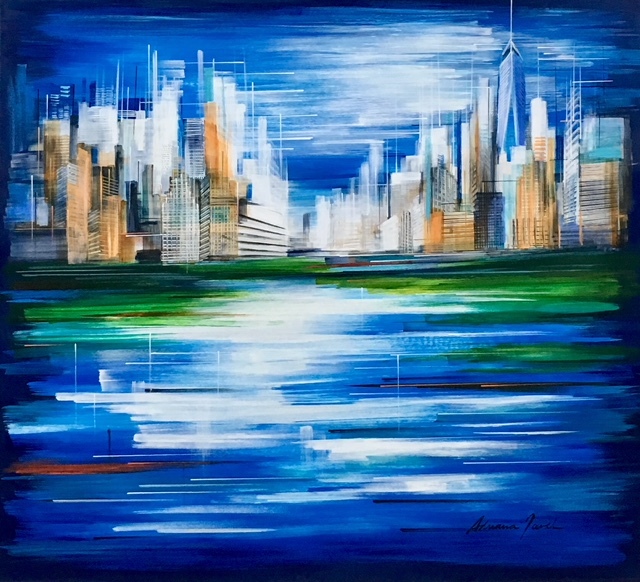 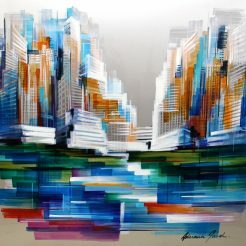 Adriana Naveh has been working as a professional painter for about 20 years. 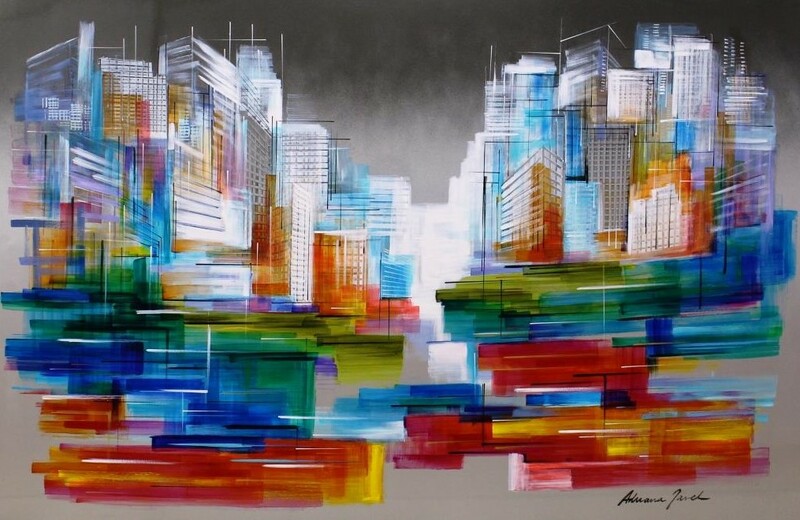 Naveh was born in 1963 in Mendoza, Argentina. 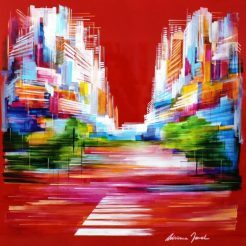 She graduated from the Academy of Fine Arts at the De Cuyo University in her hometown of Mendoza. 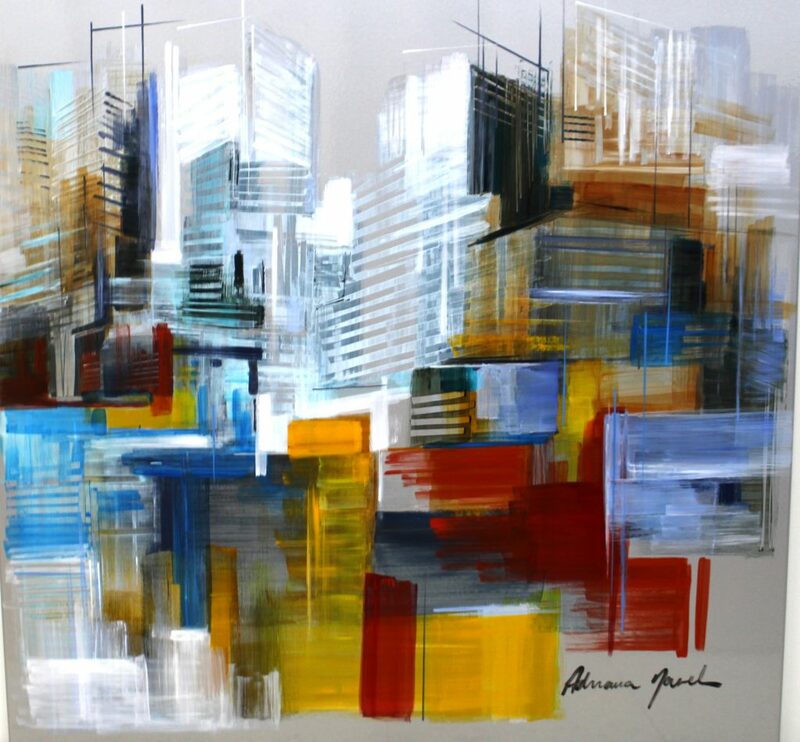 Adriana Naveh has been working as a professional painter for about 20 years. 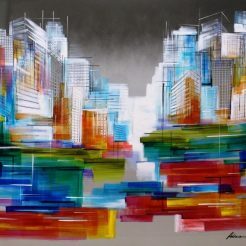 Naveh was born in 1963 in Mendoza, Argentina. She graduated from the Academy of Fine Arts at the De Cuyo University in her hometown of Mendoza. 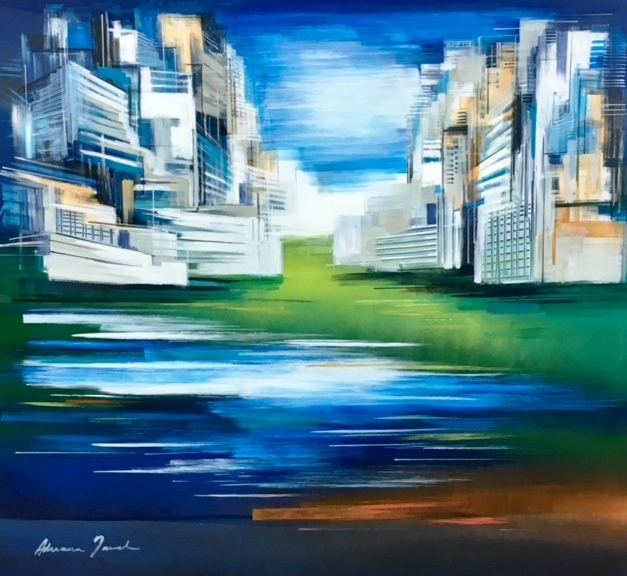 She immigrated to Israel in 1985 where she studied etching and drawing at the Avni Institute in Tel Aviv under famous artists such as Ian Rachwerger. 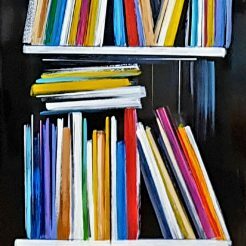 She now lives with her two children in Jerusalem and works out of a private studio, in the neighborhood of Talpiot. 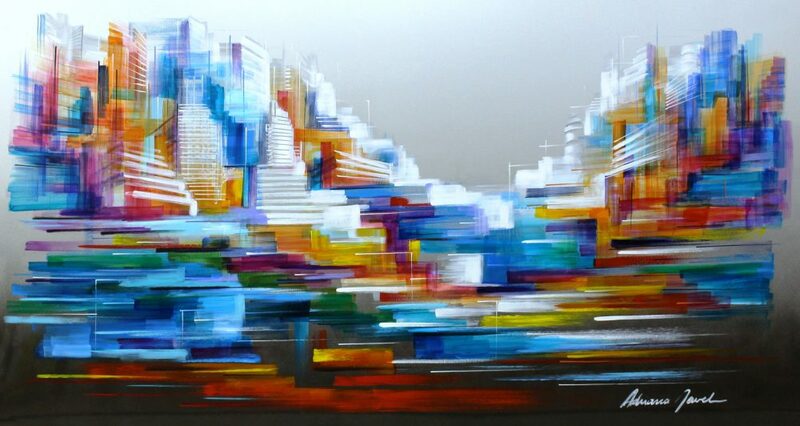 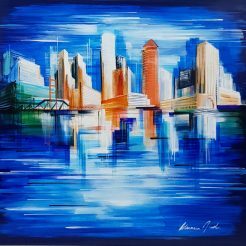 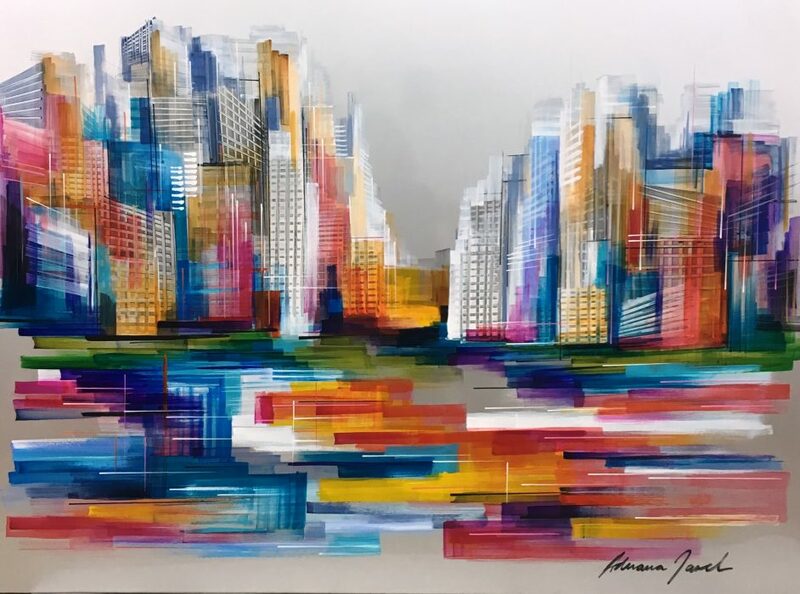 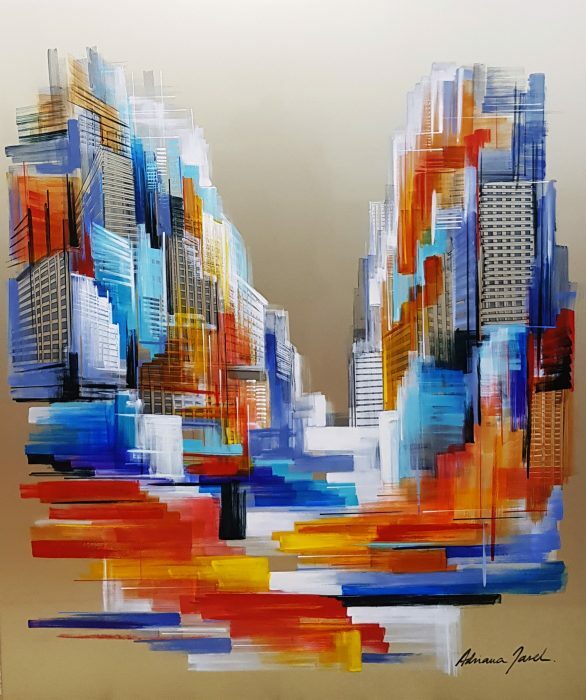 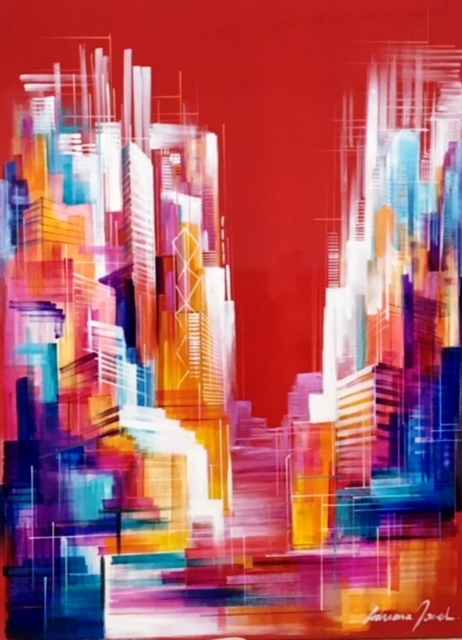 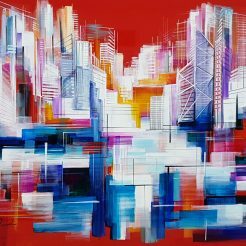 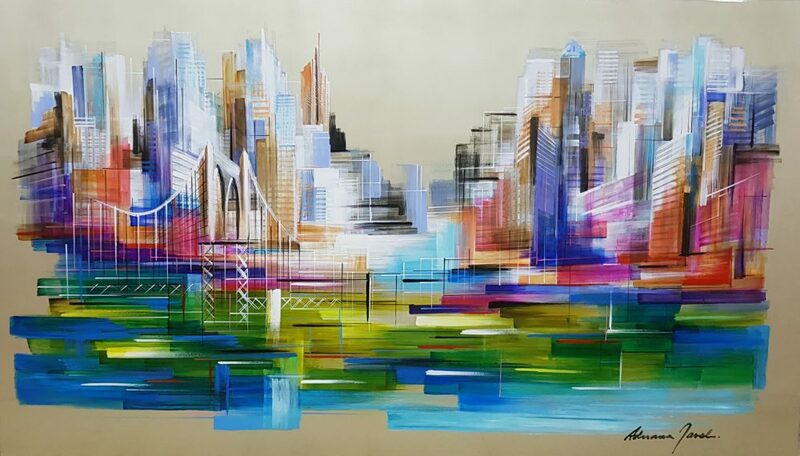 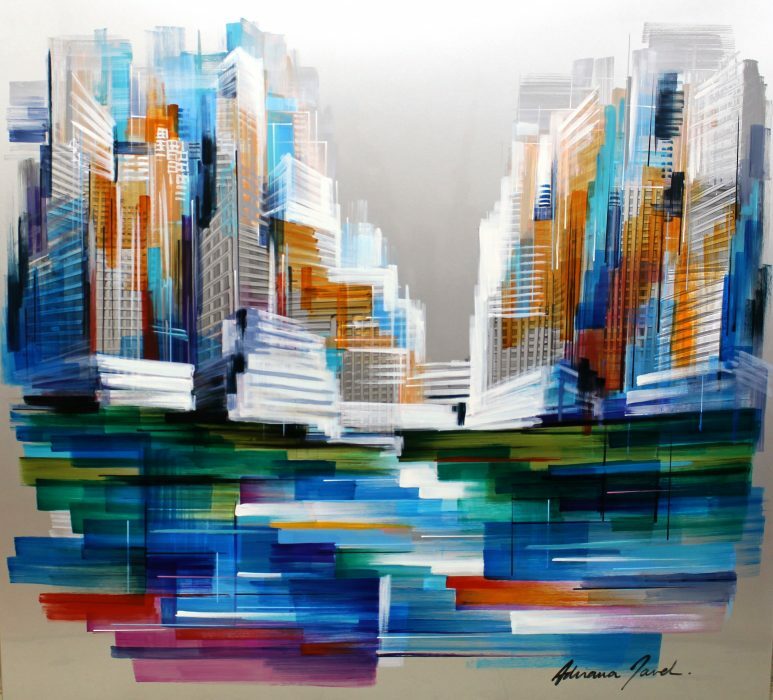 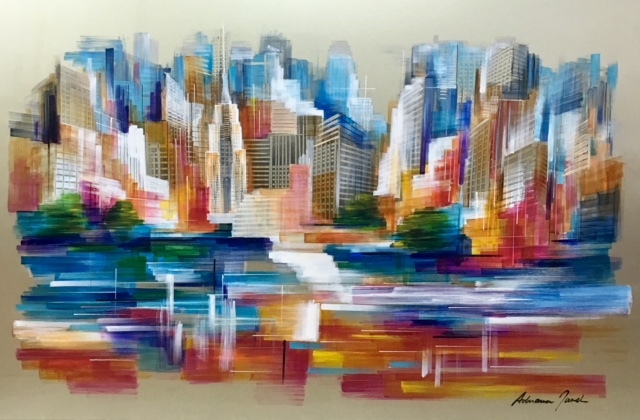 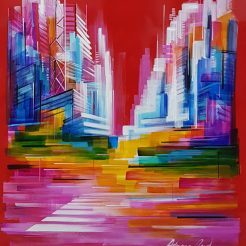 Her more recent work focuses on colorful abstracted urban landscapes. 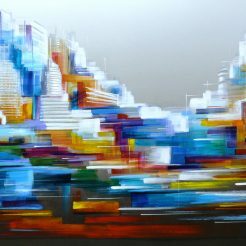 Naveh uses a unique technique on aluminum plates, covered by many layers of lacquer, that gives the work a bright luminescent quality. “I am fascinated by urban architecture, as reflected in my work. 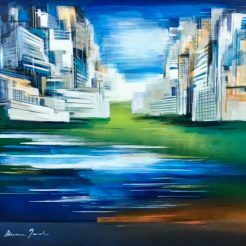 It is tightly related to myself being an immigrant, and to my persistent search for the interior place of man in his environment.”. 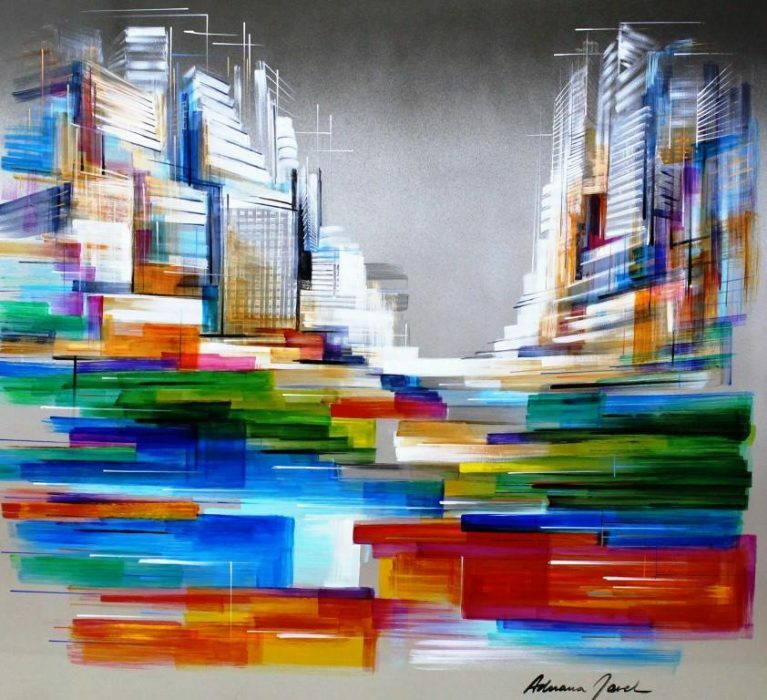 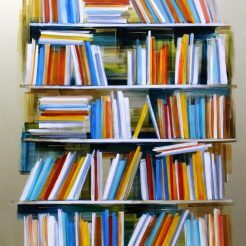 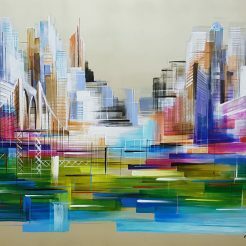 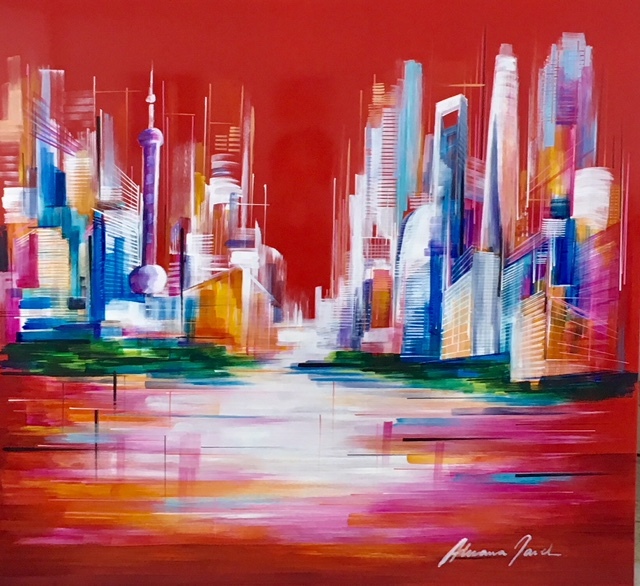 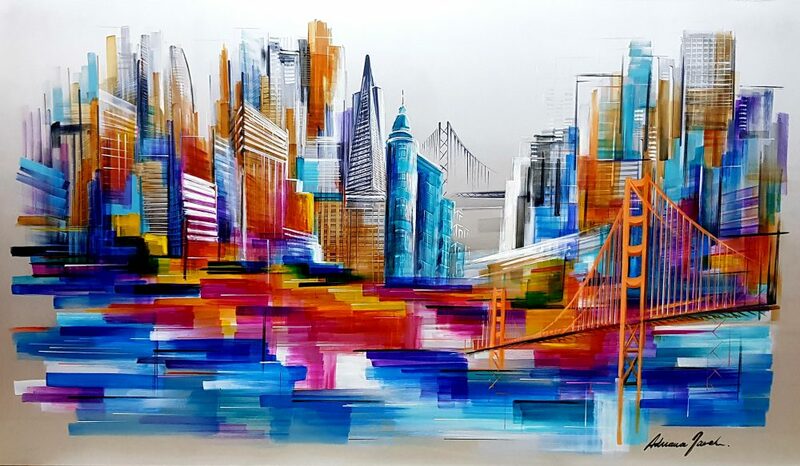 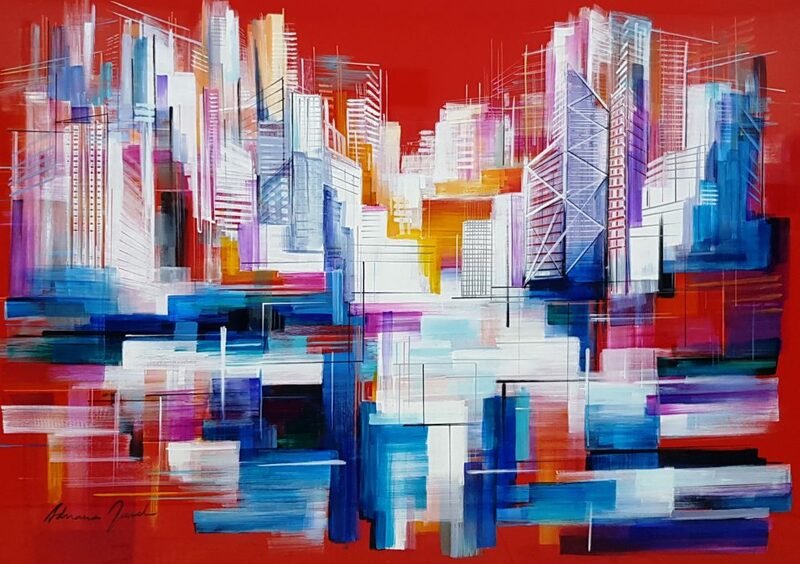 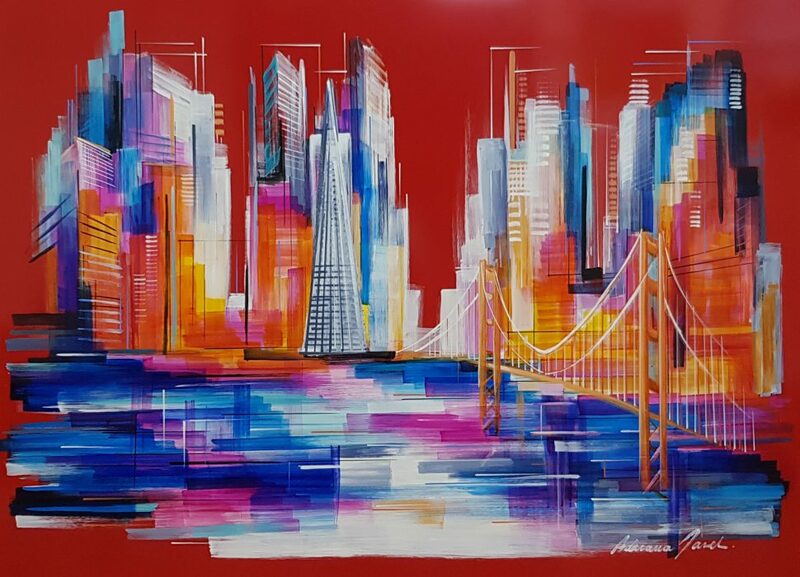 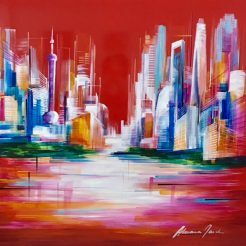 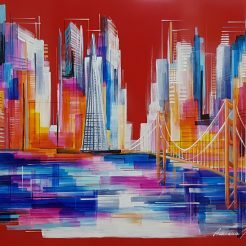 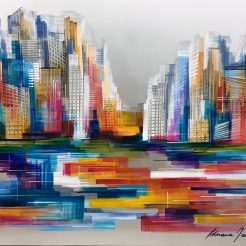 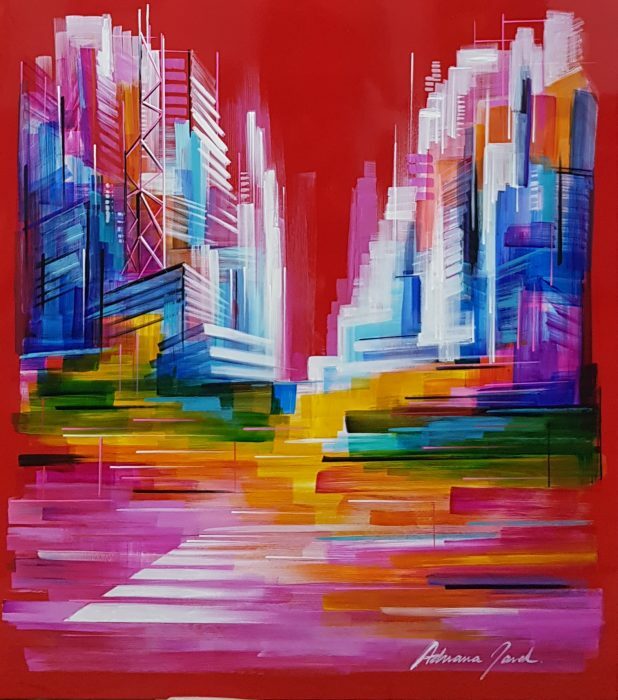 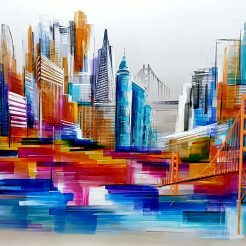 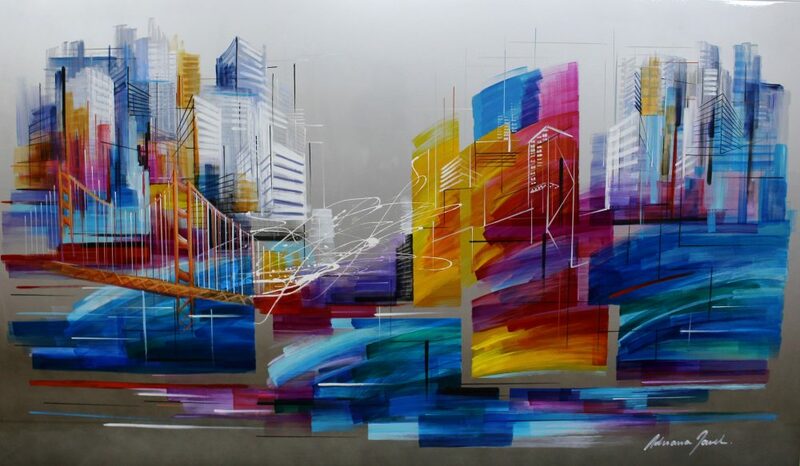 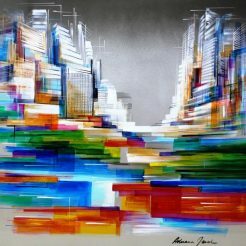 The colorful paints in her work speak together with the coldness of the aluminum, creating an aura of an urban dynamics. 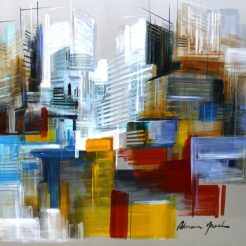 It is like depicting calm chaos, a mixture of freedom and order. 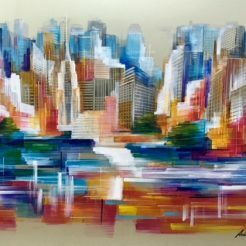 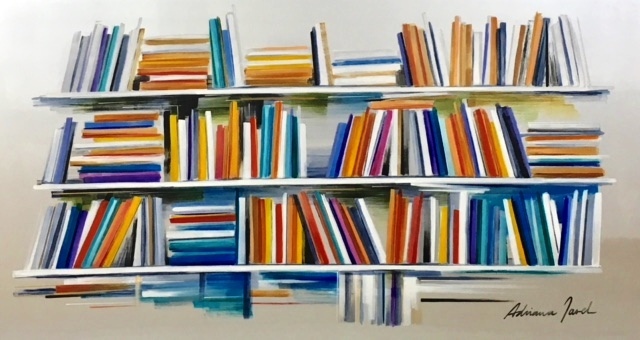 Naveh’s art work depicts scenes from everyday life with an atmosphere of spiritual introspection. 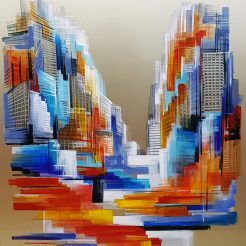 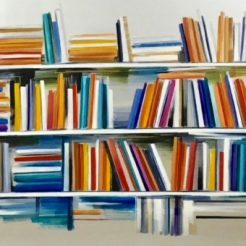 Her canvases are mainly worked on with large palette knives and pushes the boundaries of the aluminum and lacquer she experiments with. 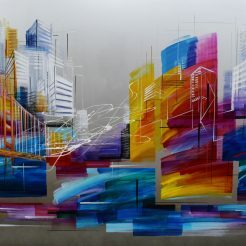 Working with this material forces several different types of unique compositions. 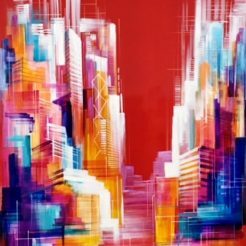 There is a stillness and a motion to her work like no other, bringing the viewer into a world of adventure and playfulness.